Okay, you see the words "Brussels Sprouts" so you're thinking of just not even reading this blog post. Don't skip it! 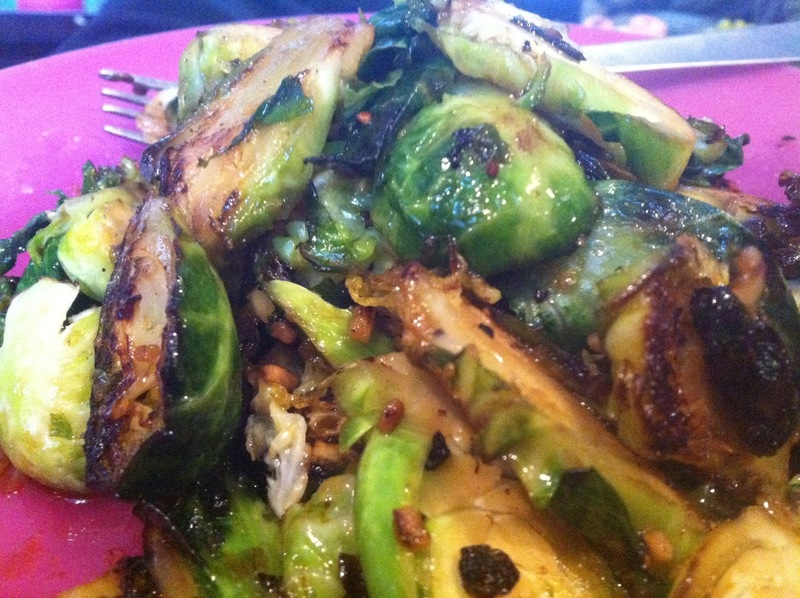 You should try these even if you think there is no way you would ever like Brussels sprouts. These are delicious! I've been addicted to them lately and even making them for myself for lunch. Yum! Even my husband who said he hates Brussels sprouts cleaned his plate of these. I did have to force him to eat them, but I was right; as usual :) He loved them! The mix of sweet and salty with the bits of brown, crispy Brussels sprouts mixed with the tender ones....to.die.for. Try these and I promise you won't be putting these on your list of things that you don't like anymore. 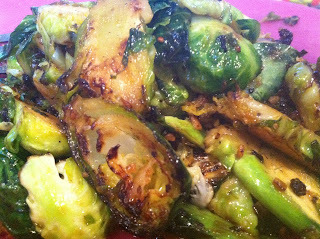 These are not your momma's 'boil until they are mush' Brussels sprouts! Slice the Brussels sprouts as thin as you can length wise (so the core is a bit on each slice as much as possible). Saute the Brussels sprouts on medium high heat in olive oil for about 5-6 minutes or until the sprouts have browned and are tender; season with salt and pepper. Add the brown sugar and agave and more salt and pepper to taste. 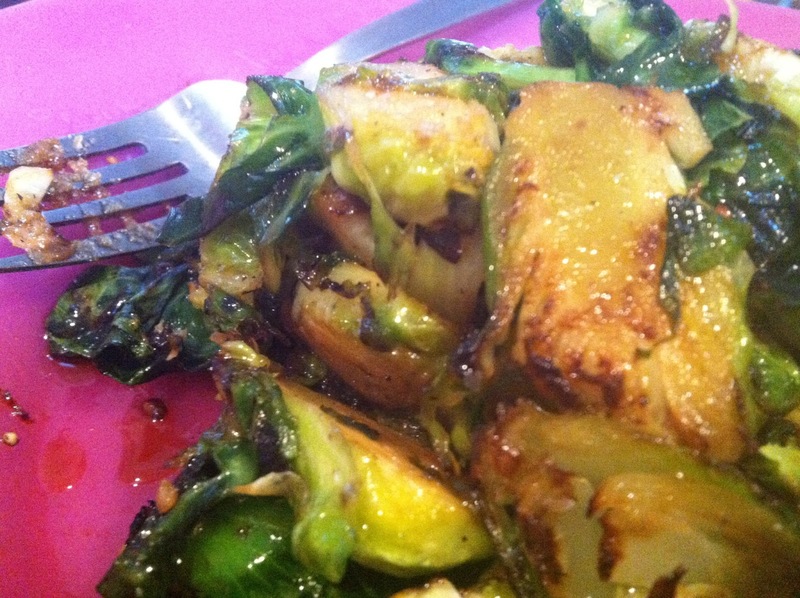 Immediately after adding brown sugar and agave, take off the heat so that sprouts do not burn. Serve hot!